It’s time for the big one. The oldest, fiercest rivalry in English cricket will play out in front of over 23,000 passionate fans at Old Trafford, with both sides firing on all cylinders in the Vitality Blast. Lancashire moved top of the North Group with a comprehensive victory at Leicestershire in front of the TV cameras on Wednesday. That win was their fourth in succession, bouncing back well from defeat in their first match to Worcestershire. The 2015 champions have demonstrated strength with both bat and ball, the likes of Liam Livingstone and Alex Davies thriving at the top of the order and their raft of spinners doing plenty of damage to the opposition batting ranks. Yorkshire are going very nicely as well, just the two points adrift of Lancashire having played a game fewer. They picked up a strong win last time out against then-leaders Worcestershire and will be bolstered by the return of the bulk of their England stars. Adil Rashid, David Willey, Liam Plunkett and Joe Root are all available for this high-profile fixture while overseas signing Kane Williamson also comes into the Yorkshire squad for the first of nine matches for the Vikings. Lancashire can also call on Jos Buttler, giving us a truly star-studded lineup for the much-anticipated Roses clash. And it will be the first of two encounters between the two cross-Pennine rivals inside a matter of days. They switch format to do battle in the County Championship at Old Trafford starting on Sunday – providing a feast for the fervent followers of these two counties. Yorkshire haven’t won a T20 clash at Old Trafford since 2014, with last season’s contest ending in an incredible tie on the DLS method during a rain-affected thriller. All being well, the stage is set for another pulsating contest in the latest instalment of county cricket’s premier duel. The availability of the England stars has just added to the excitement around this fixture and it ought to be a superb advert for the Vitality Blast. Liam Livingstone is having a strong campaign with both bat and ball. 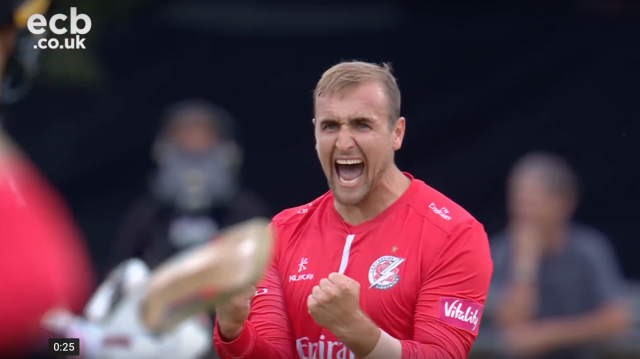 His spin bowling has proved a useful weapon, claiming four wickets against Leicestershire on Wednesday and he has been extremely aggressive at the top of the order – getting Lancashire off with a rapid rate in the powerplay. His century from 51 balls against Derbyshire earlier in the competition was the highlight so far and he has also marshalled his troops superbly in his first season as captain. Kane Williamson is one of the best batsmen in the world across all formats. He captained Sunrisers Hyderabad to the IPL final this year and has proven himself to be an intelligent scorer in T20 cricket, finding boundaries all round the wicket. 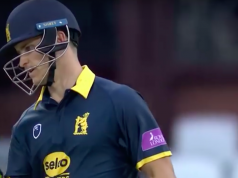 He will be a crucial addition to this Yorkshire squad, especially when the England stars are unavailable and will hope to start well at Old Trafford. Lancashire will certainly make one change as Buttler returns, probably opening the batting. That gives Glen Chapple a decision to make and it may be between Arron Lilley and Steven Croft as to who misses out. Alex Davies is likely to drop to three to accommodate Buttler at the top. Yorkshire will likely may wholesale changes to bring in their returning international players. It remains to be seen which unlucky players miss out, having performed well so far in claiming three wins from four matches. Jonny Bairstow is unavailable for this one on ECB instruction, but will feature in the Championship clash. After the weeks of dry weather – even prompting a hosepipe ban in the North West – there is the risk of a shower or two during this match. Fingers crossed it won’t be heavy enough to affect the game. Old Trafford can offer plenty for the spinners, but is also a decent batting track.